1. 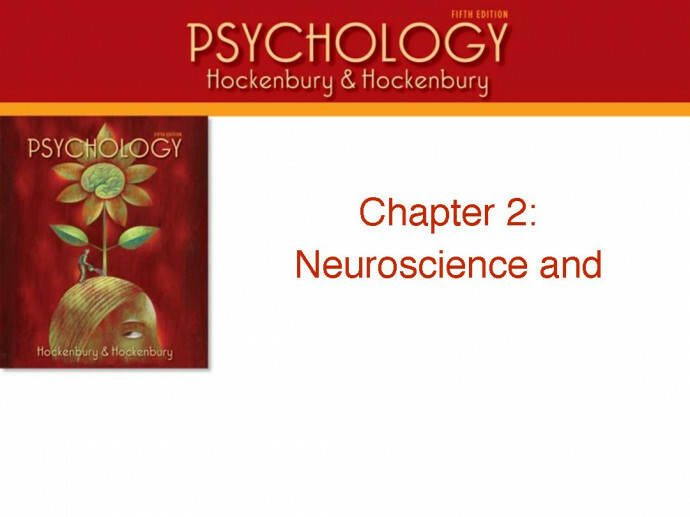 Define biological psychology and neuroscience, and explain why psychologists study the biological basis of behavior. 2. Describe the functions of neurons and glial cells, and distinguish among the three types of neurons. 3. Identify the basic components of the neuron, describe the action potential, and explain the processes that take place within the neuron when it is activated. 4. Explain how information is communicated between neurons, and distinguish between excitatory and inhibitory messages. 5. Describe how neurotransmitters affect synaptic transmission, identify six important neurotransmitters, and explain their effects on behavior. Focus on Neuroscience: Is Runner's High an Endorphin Rush? 6. Explain what is meant by "runner’s high" and discuss the role of endorphins in this phenomenon. 7. Identify and explain several ways in which drugs can affect brain activity by interfering with synaptic transmission. 8. Describe the functions of the two major parts of the central nervous system, and explain how spinal reflexes work. 9. Identify the divisions and subdivisions of the peripheral nervous system, and describe their functions. 10. Describe the general functions of the endocrine system, and explain the role hormones play. 11. Identify the functions of the major endocrine glands, and explain the relationship between the hypothalamus and the endocrine glands. 12. Discuss how the pseudoscience called phrenology evolved, and how it ultimately helped advance the idea of cortical localization. 13. State what neural pathways are, distinguish between functional and structural plasticity, and explain what neurogenesis is. 14. Summarize the research involving juggling and brain plasticity and explain what the findings suggest about how learning a new motor skill affects the adult brain. 15. Identify the structures of the brainstem, and describe their functions. 16. Describe the forebrain’s cerebral cortex, and explain the functions of its four lobes and association areas. 17. Explain what happened to Phineas Gage and why this case study was important in the development of brain research. 18. Describe the limbic system and the function of the brain structures that comprise it. *Critical Thinking: “His” and “Her” Brains? 19. Describe the differences in male and female brains and explain what these differences do and do not mean. 20. State what cortical localization is and explain how the findings of Broca and Wernicke provided early clinical evidence for lateralization of function, the development of different types of aphasia, and language specialization in the left hemisphere. 21. Describe the work of Roger Sperry, discuss the split-brain operation, and explain how it provided evidence for the differing abilities of left and right hemispheres. 22. Identify and discuss the myth about how much of our brain we use, explain left and right hemisphere functioning, and list the facts related to being left-handed or right-handed. 23. Describe the research findings from studies on enriched versus impoverished environments using both nonhumans and humans and list some of the practical implications of this research.